Several changes were made to the Focus On Energy program for 2017. 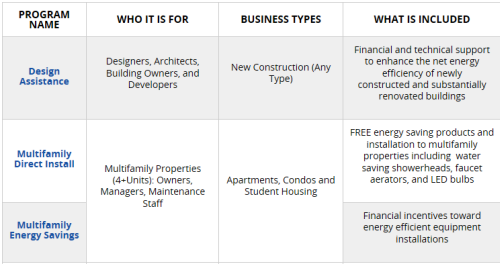 An overview of the business portfolio is shown below. You can also view it on Focus on Energy's website. New for 2017 is the Small Business Program. Lighting incentives for Small Businesses are significant for 2017. 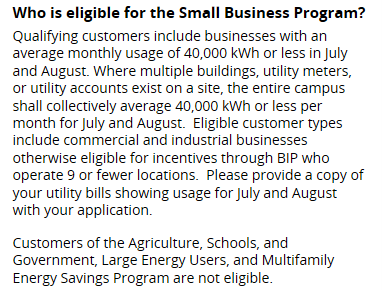 Please review the small business eligibility requirements below, and view the small business program here. See links below for the 2017 Business lighting catalog and application. 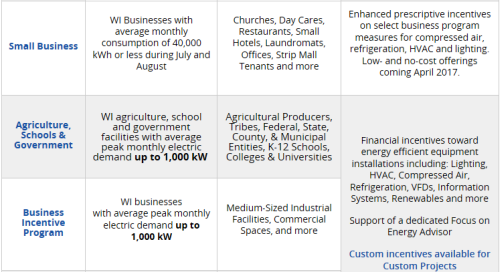 This catalog contains incentive offerings for the following customers: Business Incentive Program (Includes chains and franchises), Small Business Program, Large Energy, Multi Family, New construction and Ag, Schools and Government. The 2017 lighting catalog and application can also be found on www.hein.com/resources.